Arguments for and against the plausibility of the theory that all of Governor Connally's injuries and all of President Kennedy's non-fatal injuries were caused by one bullet. The Warren Commission modified this explanation by assuming that Kennedy’s throat wound had been caused by the same bullet that had caused his back wound. No bullets or bullet fragments were discovered in President Kennedy’s body, apart from the many small fragments associated with his head wound. 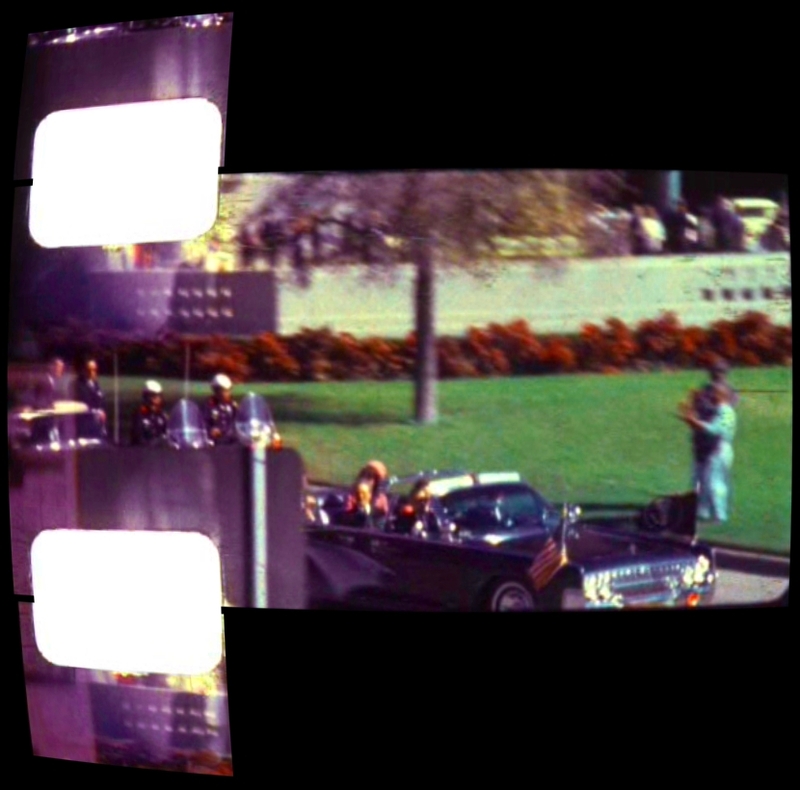 Although the photographic evidence does not allow the horizontal alignment of the president and Governor Connally to be accurately determined, it does not rule out the possibility that a bullet fired from the south–eastern corner of the Texas School Book Depository may have passed through both men. Although objections were raised to all of the important parts of the Warren Commission’s account, the most powerful objections were aimed at the most fundamental part, the idea that all of Kennedy’s and Connally’s non–fatal wounds were caused by one bullet. or Oswald fired none of the shots himself. This bullet arrived much too late to have been the one which wounded Kennedy, and much too early for both to have been fired from the rifle attributed to Oswald. 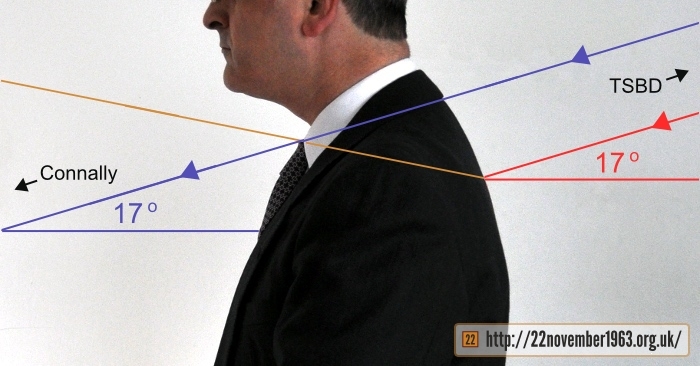 And you put your hand right above where your tie is? and by the absence of bullet damage to his tie. 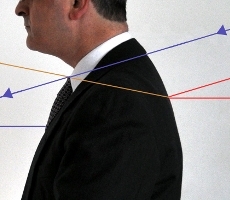 The cuts in the president’s shirt lay directly underneath the knot of the tie, but there was no damage to the knot of the tie apart from a tiny nick on the front of the knot, to the wearer’s left. Material surrounding the nick was removed in order to obtain a sample for testing, to see whether a bullet had deposited traces of copper. 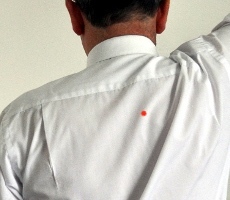 Although there were traces of copper around the bullet hole in the back of the shirt, there were none on the tie or on the front of the shirt.11 The damage to the tie, just like the damage to the front of the shirt, was evidently made by a surgical instrument, not by a bullet. The backs of Kennedy’s jacket and shirt each contained a bullet hole located between five and six inches below the top of the collar, which matched this location.16 Although the jacket had bunched up slightly from time to time during the motorcade as Kennedy waved to the crowd, it had never bunched up sufficiently to allow a bullet to enter at the required angle. 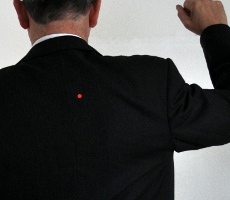 In a photograph taken no more than 1.2 seconds before any non–fatal shot from the sixth floor could have been fired, the jacket can clearly be seen to be at or very close to its normal position.17 Buttoned–up shirts tend to be much less flexible than jackets. President Kennedy’s shirt in particular could not have bunched up significantly: it had been made to measure; it was held in place by a belt; it had a long tail, on which Kennedy was sitting; and the hot weather would have caused the shirt to stick to the president’s back. The hole in the shirt lined up almost exactly with the hole in the jacket. Because bullets can sometimes veer off in unexpected directions on striking an internal object after entering a body, it is conceivable, though unlikely, that a bullet from the sixth floor of the TSBD hit President Kennedy in the back, veered upward, and passed out of his throat. or by one bullet fired from somewhere other than the sixth–floor window. It also follows that at least one further bullet is required in order to account for Connally’s wounds. and the nature of the injuries. These three factors came together to suggest strongly that the essential part of the Warren Commission’s case, the single–bullet hypothesis or theory, was not only unsupported by the evidence but was actively contradicted by the evidence. The failure of the single–bullet theory proved that Oswald could not have committed the crime alone. How Did Oswald Kill President Kennedy? It is debatable whether the Warren Commission’s construction should be referred to as the single–bullet hypothesis or the single–bullet theory. The terms ‘hypothesis’ and ‘theory’ are largely interchangeable in popular usage. If there is a difference, it is that a hypothesis is supported by a weaker basis of evidence and argument than a theory. In this case, uncharitable sceptics have often preferred the term ‘magic bullet theory’. 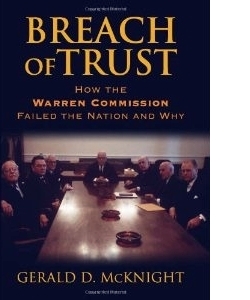 For the development of the single–bullet hypothesis, see Gerald D. McKnight, Breach of Trust: How the Warren Commission Failed the Nation and Why , University Press of Kansas, 2005, pp.181–212. The theory is generally credited to Arlen Specter, one of the Commission’s assistant counsel. 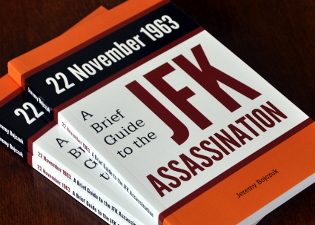 The FBI Summary Report states only that “two bullets struck President Kennedy, and one wounded Governor Connally” (p.1), and that “one of the bullets [that struck Kennedy] had entered just below his shoulder to the right of his spinal column at an angle of 45 to 60 degrees downward … there was no point of exit” (p.18). The report gave no description of Connally’s injuries, and entirely failed to mention Kennedy’s throat wound and James Tague’s wound. It implies that at least one more bullet was fired, making at least four in total. Warren Report , p.117. James Tague’s wound demanded its own bullet because he was too far away for his injury plausibly to have been caused by a fragment of a bullet which had struck Kennedy or Connally. President Kennedy’s head wound demanded its own bullet because it clearly occurred later than at least some of his and Connally’s non–fatal wounds. That left a single bullet to create all the other wounds. The single–bullet theory had been proposed by Arlen Specter a few weeks earlier, but it was the publicity attached to Tague’s wounding that forced the Commission to adopt the theory. Connally’s testimony: Warren Commission Hearings , vol.4, pp.135f. He was quoted in the Washington Post , 21 November 1966, saying that “there is my absolute knowledge that … one bullet caused the president’s first wound and that an entirely separate shot struck me. It is a certainty. I will never change my mind.” It was Connally’s testimony that persuaded one of the Warren Commissioners, Senator Richard Russell, that the single–bullet theory was untenable; see Richard Russell and the Warren Report . Nellie Connally: “I turned over my right shoulder and looked back, and saw the President as he had both hands at his neck. … Then very soon there was the second shot that hit John” ( Warren Commission Hearings , vol.4, p.147). James Chaney was one of four police motorcyclists who had a close–up view of the shooting. None of the four was invited to testify before the Warren Commission. Chaney’s opinion is known from the testimony of another policeman, Marrion Baker: “I talked to Jim Chaney, and he made the statement that the two shots hit Kennedy first and then the other one hit the Governor” ( Warren Commission Hearings , vol.3, p.266). 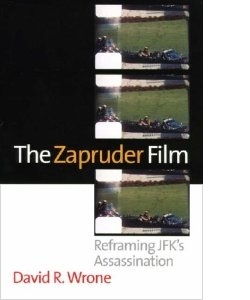 Chaney, incidentally, was filmed on the afternoon of 22 November stating to a reporter that the fatal shot had “hit him [Kennedy] in the face;” see David Wrone, The Zapruder Film: Reframing JFK’s Assassination , University Press of Kansas, 2003, p.184. 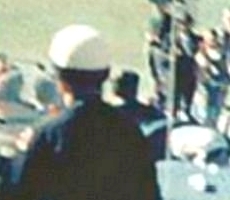 Frame 224 of the Zapruder film shows the right lapel of Connally’s jacket flapping outward. This movement cannot have been caused by the same bullet that caused President Kennedy’s throat wound, for two reasons. Firstly, the bullet that passed through the front of Connally’s jacket did so several inches from the lapel. Secondly, too much time elapsed between Kennedy’s throat wound and Connally’s lapel flap. 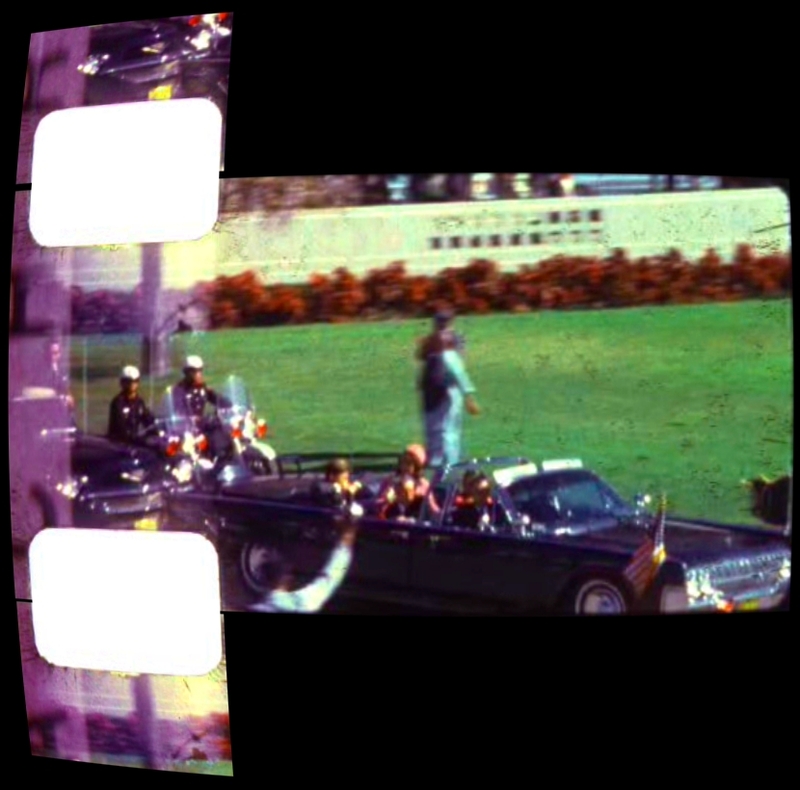 The minimum time for a neurological reaction to an external stimulus is 200 milliseconds, or between three and four frames of the Zapruder film. Because frame 224 shows Kennedy’s hands already moving toward his throat, the wound to which he is responding cannot have occurred any later than frame 221. A hypothetical bullet fired from the rifle found on the sixth floor would have travelled at least 400 feet between the time of Kennedy’s throat wound and the time of Connally’s lapel flap. The distance between Kennedy and Connally was about three feet. 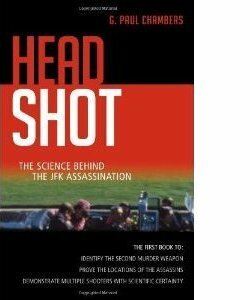 For details, see G. Paul Chambers, Head Shot: The Science Behind the JFK Assassination , Prometheus Books, 2010, pp.155–8. The flapping of Connally’s lapel was probably caused by nothing more sinister than a gust of wind. For the location of the damage to Governor Connally’s shirt and jacket, see the Warren Report , p.94. For the surgeon’s description of Connally’s shattered wrist, see Warren Commission Hearings , vol.4, pp.118ff. For the severed tendon, see ibid. , p.124. Nellie Connally later claimed that her husband was still holding onto his hat while laying across the car seat on arrival at Parkland hospital. This objection applies not only to the single–bullet theory but almost certainly to the FBI’s four–shot scenario as well. Dr Carrico’s testimony: Warren Commission Hearings , vol.3, pp.361f. The Warren Report asserted that “these two holes fell into alinement on overlapping positions when the shirt was buttoned. Each hole was a vertical, ragged slit.” ( Warren Report , p.92) The FBI’s exhibit 60 includes a photograph of the two slits in the collar, which shows that they do not line up completely: the slits are of different shapes, and the one below the button–hole extends higher than the one below the button. This exhibit was withheld from official publication, but is reproduced at: Gerald D. McKnight, op.cit. , p.241; Harold Weisberg, Never Again , Carroll and Graf, 1995, p.245; and Robert Groden, The Killing of a President , Viking Studio Press, 1993, p.77. A close–up of the slits in the collar is available online at the Mary Ferrell Foundation website. The photographs of Kennedy’s shirt in the Warren Commission Hearings , vol.17, pp.25f are insufficiently detailed to show the cuts in the front or the bullet hole in the back. The traces of copper on the back, but not the front, of Kennedy’s shirt: FBI HQ JFK Assassination File, 62–109060–14. The documentary record of President Kennedy’s autopsy is severely and inexcusably deficient. Consequently, the locations of none of his wounds are known with any precision. The back wound, for example, was not measured against a standard anatomical feature, and was photographed with the body in a distorted position. The fundamental question, of whether or not the back and throat wounds were caused by the same bullet, could have been answered by dissecting the wounds and the connecting tissue, but the pathologists were ordered not to do this; see Clay Shaw Trial Transcript , pp.115–8. For detailed discussions of the medical evidence, see the sources listed in the Medical Evidence section. Dr Burkley’s death certificate: ARRB MD6, p.2. Two other death certificates exist, but neither mentions the location of the back wound with any precision. For the location of the third thoracic vertebra, see http://en.wikipedia.org/wiki/File:Orientation.PNG, on which the third thoracic vertebra is marked ‘T3’. The autopsy descriptive sheet was endorsed as correct (“Verified”) by Dr Burkley. His endorsement and signature were missing from the version published by the Commission ( Warren Commission Hearings , vol.27, p.45 [Commission Exhibit 397]); the complete version was only made public three decades later, by the Assassination Records Review Board (ARRB MD1). Burkley was the only medical professional to have been present at both Dallas and Bethesda, which would have given him a unique knowledge of Kennedy’s wounds. Whether despite or because of this, he was largely ignored by the Warren Commission, and was not even called as a witness. In 1977, Burkley appears to have attempted to offer information about a possible conspiracy to the House Select Committee on Assassinations; see Richard Sprague: Memo re Dr George Burkley. For the location of the holes in President Kennedy’s jacket and shirt, see the Warren Report , p. 92 and FBI HQ JFK Assassination File, 62–109060–14. The photographs in FBI exhibit 60 show the locations; see note 10 above. Photograph no. 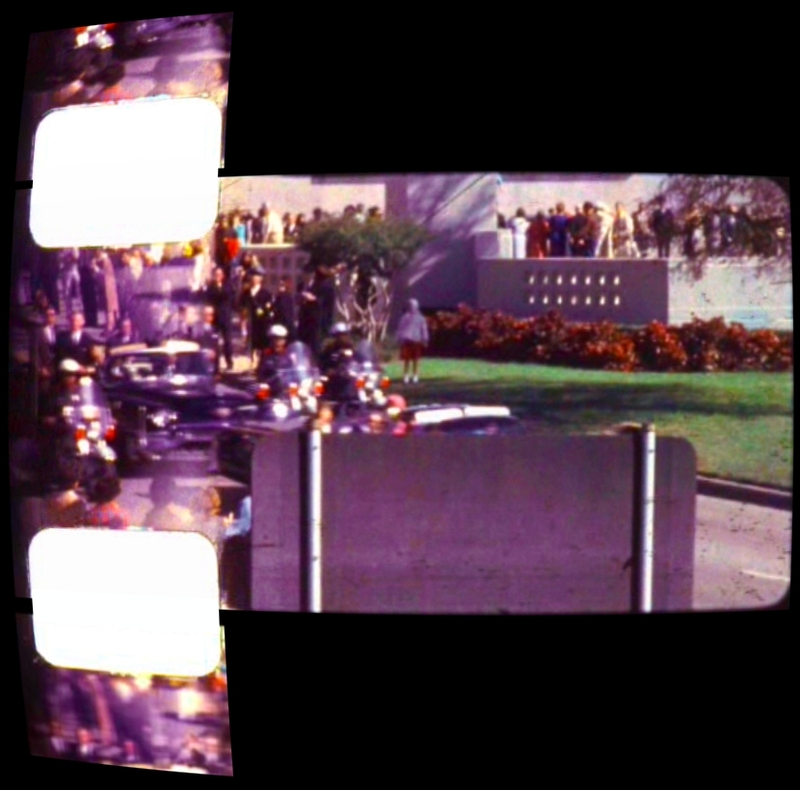 5 by Phil Willis corresponds to frame 202 of the Zapruder film, and is the photograph that was taken closest in time to the hypothetical shot from the sixth floor. For the timing of Willis’s photograph, see David Wrone, op.cit. , pp.119f. 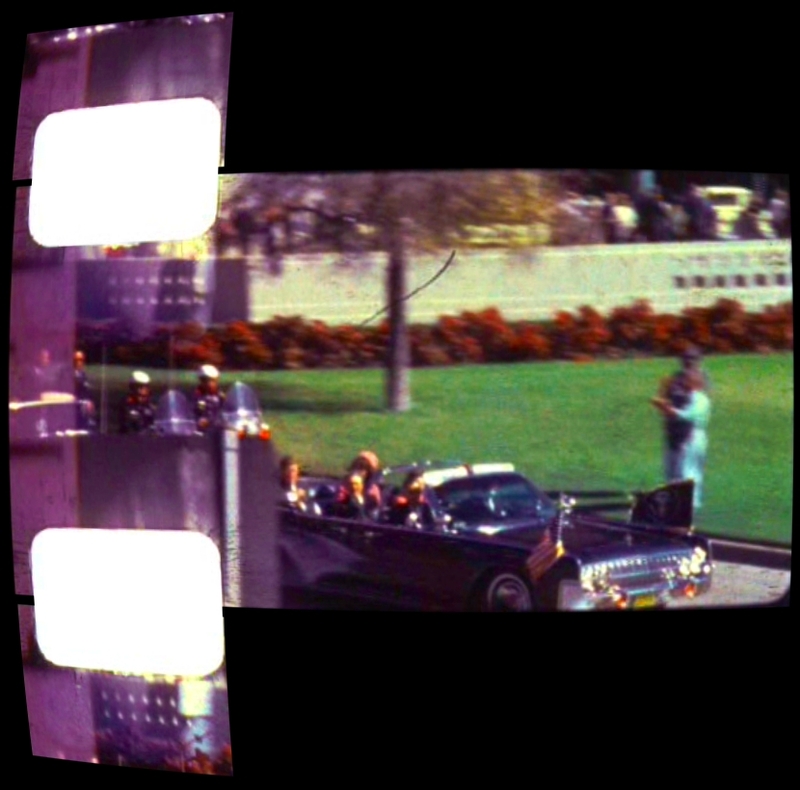 Frame 202 occurs just under half a second before frame 210, the first point at which Kennedy would have become visible to a sixth–floor gunman, and 1.2 seconds before frame 224, the last frame before Kennedy is seen reacting to his throat wound. For a clear reproduction of Willis’s photograph, see Robert Groden, op.cit. 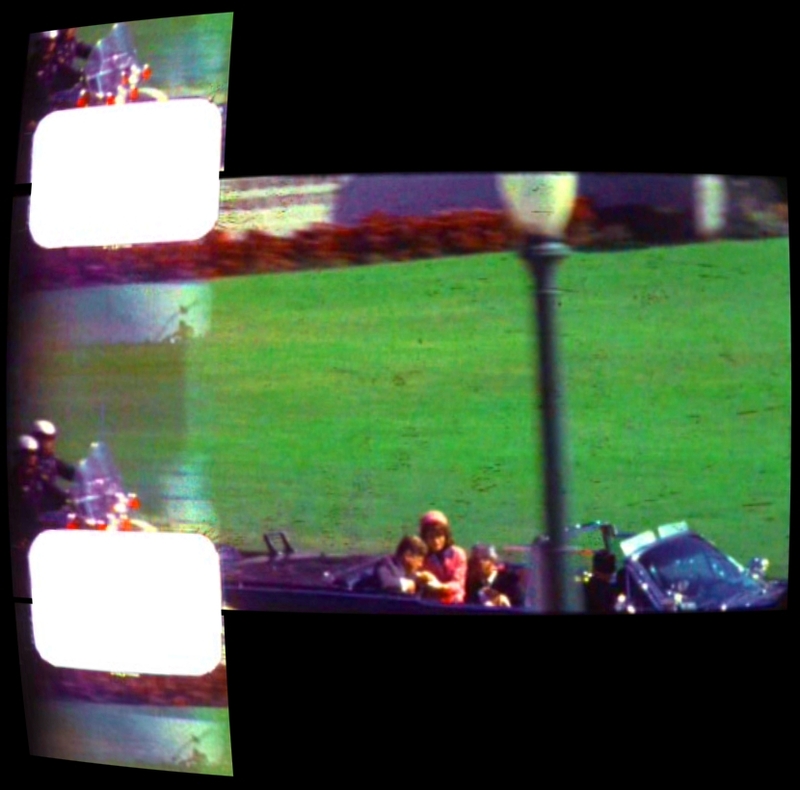 , p.24 and Josiah Thompson, Six Seconds in Dallas: A Micro–Study of the Kennedy Assassination , Bernard Geis Associates, 1967, p.223. Willis himself claimed that he took the photograph in immediate response to hearing the first shot, which, if true, would by itself disprove the single–bullet theory. 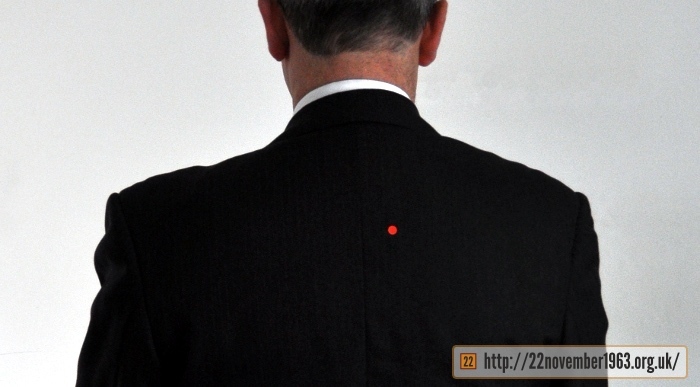 For more about the contradiction between the holes in the shirt and jacket and the Warren Commission’s single–bullet theory, see The Single–Bullet Theory and the Holes in JFK’s Shirt and Jacket. The distance and angle from the sixth–floor window to Kennedy: Warren Report , p.106. The Warren Commission was obliged to line up not only Kennedy’s back and throat wounds, but also Connally’s back wound. The Commission’s own reconstruction demonstrated that the only way this could be done was by placing Kennedy’s back wound too high and his throat wound too low: Warren Commission Hearings , vol.18, p.96 (Commission Exhibit 903). See note 17 for details of Phil Willis’s photograph. 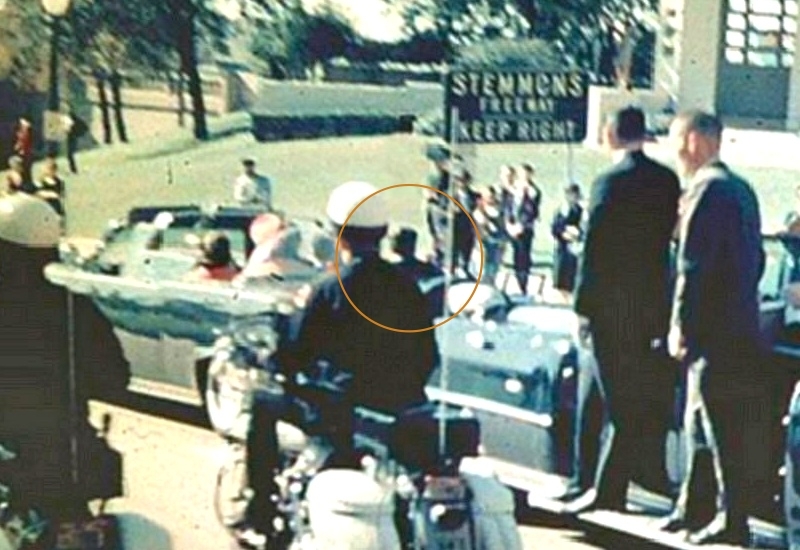 Because of the lack of reliable documentary evidence from the autopsy, the precise location of the bullet wound in President Kennedy’s back is not known. In the case of the bullet holes in his shirt and jacket, however, the precise locations are known. and exited through the throat at the same angle, in order to cause Governor Connally’s injuries. Kennedy was sitting with his back against the seat. His head was tilted slightly forward. His right elbow was on or just above the side of the car, a little below the level of his shoulder. His left arm was not raised. When the collars of the shirt and jacket were in their normal positions, the two bullet holes were at almost exactly the same level. This suggests that if both garments had ridden up when the bullet passed through them, they had ridden up by almost exactly the same amount. The known location of the hole in the shirt is not consistent with a hypothetical shot from the easternmost sixth–floor window that came out of Kennedy’s throat. No doubt the physical dimensions of our model, and the physical properties of his clothing, differ from those of President Kennedy. But any such differences are surely insignificant. 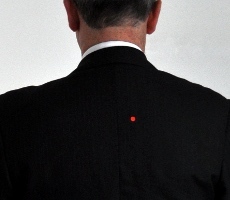 It is clear that the hole in Kennedy’s jacket, and especially the hole in his shirt, could not have been caused by a bullet entering his back at an angle of 17° or 18°, continuing in a straight line, and coming out of the throat just below the Adam’s apple. The location of the bullet holes disproves the single–bullet theory. share in the same way by applying a similar licence to any works based on these images. It has not been possible to identify and contact the owner of the copyright in the late Phil Willis’s photograph in order to obtain permission to use the image. The owner of the copyright is welcome to get in touch via the Contact page.